accounts as defined in Oracle Receivables. Specifying Contract Effectivity and Maximum Duration: You can specify the dates that your contract is effective. 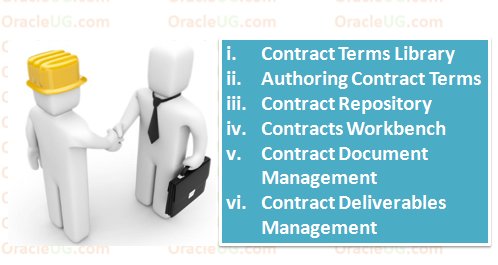 The dates you enter become the default dates for each new contract line and set a limit to the duration of all lines in the contract. In Oracle Fusion Applications, the Enterprise Performance and Planning Business Process Model (BPM) illustrates the major implementation tasks that you perform to create your enterprise structures. This process model includes the Set Up Enterprise Structures detailed business process, which consist of implementation activities that span many product families. 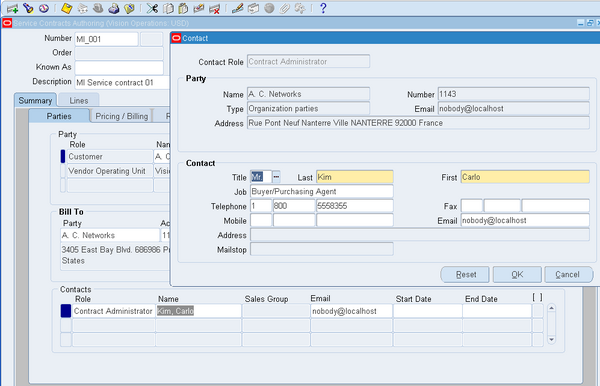 The enterprise structure of Oracle Fusion Application is similar to the organization structure in Oracle EBS Release 12. 1. Log in under the Service Contracts Manager or Service Contracts User responsibility. Navigate to Contract Administration, and then select Launchpad. Sell multiple types of service. Define pricing and billing schedules. Ensure timely service entitlement checks. Automate renewals for recurring revenue opportunities. Contract administrators and legal personnel may negotiate and author a vast number of complex contracts each year. Maintaining corporate control on the terms for each contract can be a time-consuming and daunting task. 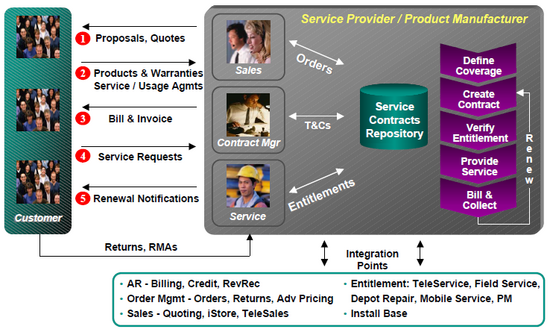 The application simplifies this process by providing a centralized contract terms library. The Oracle applications that use Oracle Installed Base are shown the picture. 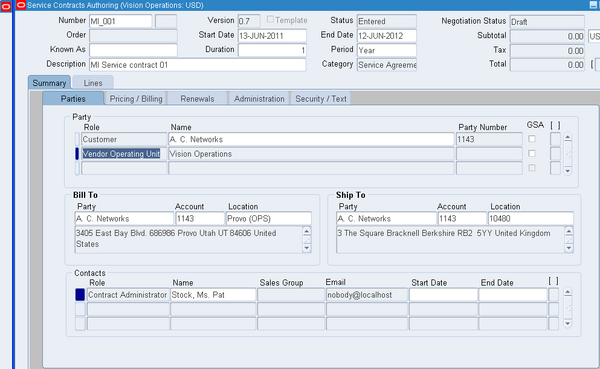 Several Oracle Order Management, Purchasing, Inventory, Work in process transactions interact with Oracle Installed Base. Oracle Installed Base can track both shippable and non-shippable items.